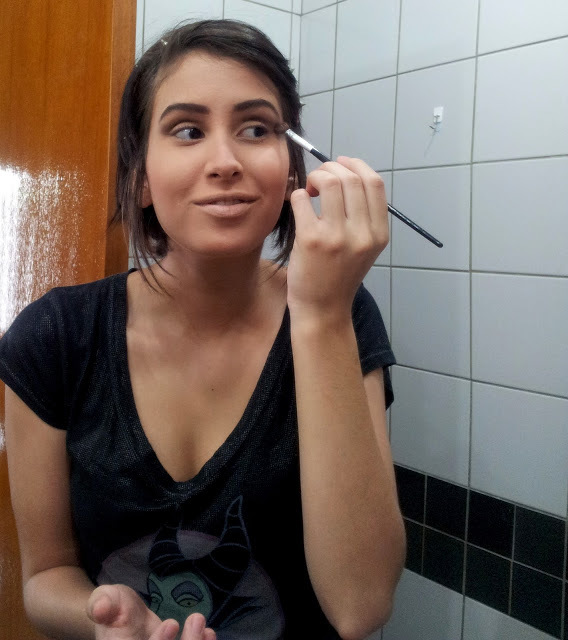 Today my friend Bellatreex will give you guys some make up tips! Step 1: Preparing the skin! Wash your face well and put on a Primer you like the most. Always remember to use a proper soap for your skin type. Don’t be scared of using it! It is never enough. Maybe it will have a bad appearance if your skin is too dry. That’s why a good primer should be effective enough to take care of that. Notice that Bellatrix is using a stick foundation. They are known of helping oily skin type and also give a matte effect, which is lovely. 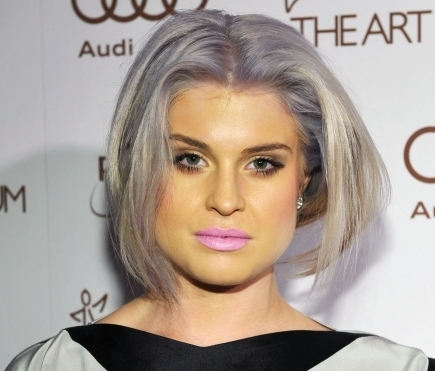 Girl, at this step, please… Try to use a tone that will be as close as possible to your skin tone! You don’t wanna look like a ghost on the pictures later… hahahaha. You wanna know a secret? 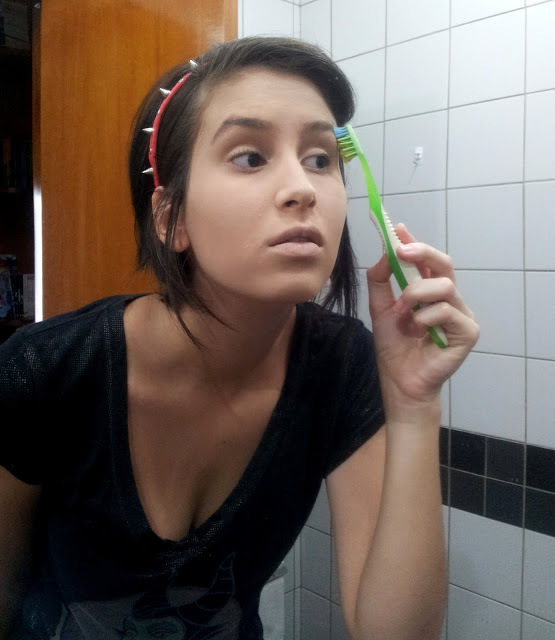 I normally hate eyebrows’ brush, so I go on and use an old toothbrush. 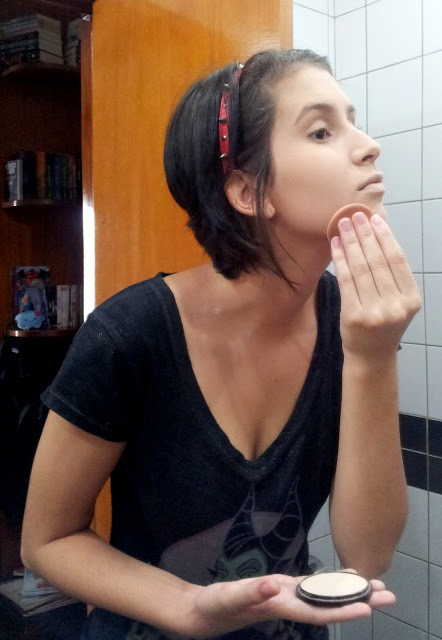 Attention: I am super against using the blush exactly on top of the cheek bones. I prefer applying it under it. This method values more jaw’s shape, and, on my opinion, it is way more beautiful. 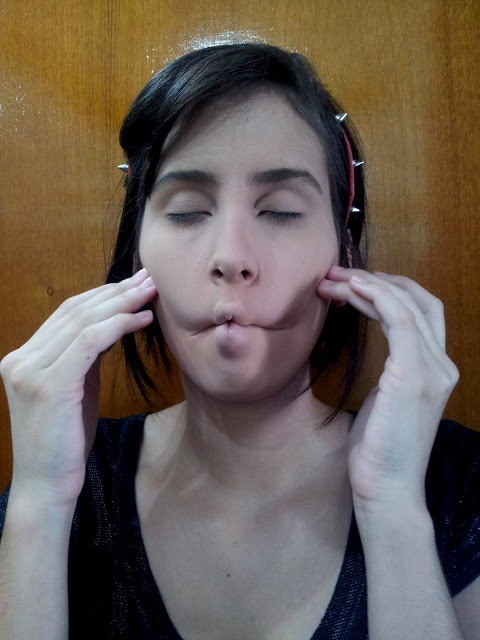 First, make the “fish face” and pay attention to the line that will form under the cheek bones, where Bellatrix fingers are. Apply your blush there. Choose a shape that will mach your ace and good luck! Use a brush, girls. 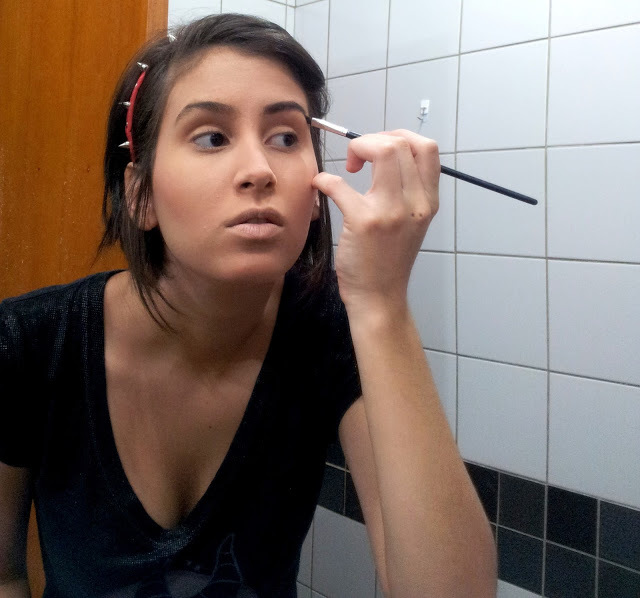 And don’t worry, if you commit any mistake, you just have to fix it with a bit of liquid foundation around it. Bellatrix decided to apply a very dark brown, and smoked it till it got lighter. 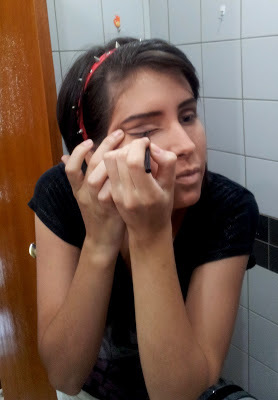 She was trying to imitate Twiggy, only marking the deep part of the eyes. Remember to also apply it inside, on your waterlines! Thin or thick line, doesn’t matter. 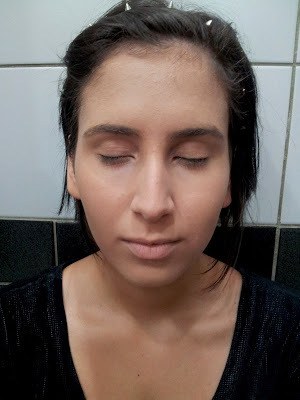 With this basic makeup, any of them will look nice. Attention to the edges: they don’t exist. It ends following the eye shape. 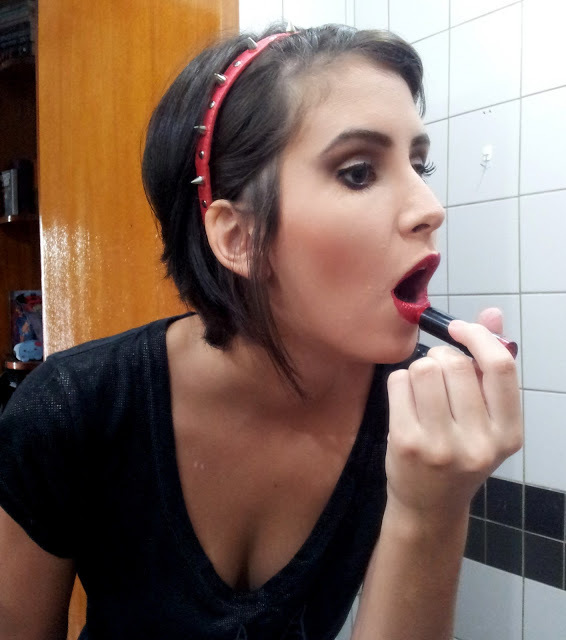 And fill them with the red lipstick you like the most! 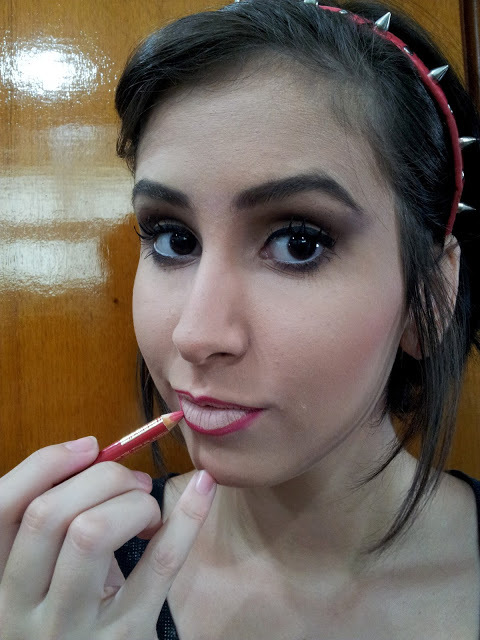 Makeup ready. Simple and really easy. With a bit of practice, you will be able to do it really quickly. Reminding everyone that this was a basic tutorial for girls that are just starting on the makeup world. I know some tutorials may be kinda scary, cause they seem really difficult. So Bella and I came up with this simple one, to encourage girls out there! Any questions or opinions? Feel free to share on the comments!! Previous Previous post: Why New Old Girl? / And I am back! !